Amy loves drinking Tea and one of today's guests made her extremely happy. She visited DAVIDsTEA Shop and bought a fun sampler of their loose leafed teas. She is also very excited to see Olivia Newton John with Mitchell this week. Next week's show will tell ALL! Guest: David Segal of DavidsTea joins Amy on the Queercast. David is a co-owner of the very successful DavidsTea Shops in Canada. 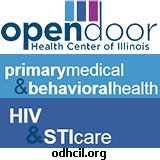 David is opening shops in the United States in the cities of New York City, San Francisco and here in Chicago. David shares how the tea shops got their start and what his plans are for the future. For more information visit www.davidstea.com. 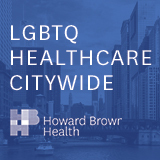 Music Featured on This Queercast: A Fine Frenzy - "Now is the Start", The Mowgli's - "San Francisco" and Original London Cast of Sister Act - "Fabulous, Baby!" 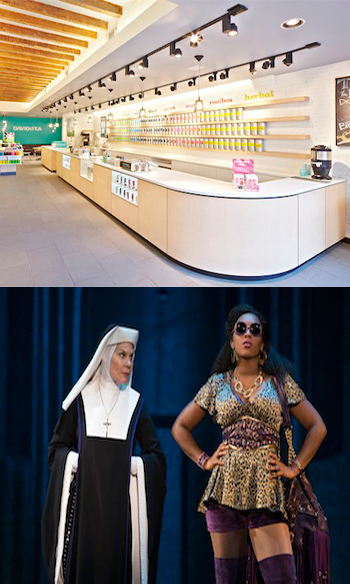 Photo Credit: DAVIDsTEA store (top) and Hollis Resnick (bottom left) with Ta'Rea Campbell in Sister Act.